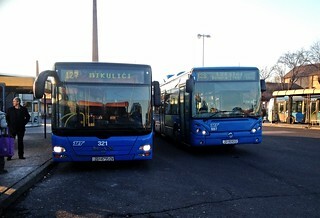 MAN Lion's City and Irisbus Citelis. Seen at the tram/bus interchange of Črnomerec, which is to the west of Zagreb city centre. After leaving the interchange, these vehicles will head north into the hilly suburbs.